Ceramic work is one of the most ancient arts in the world, but in the United States and many parts of the world, has evolved over the last hundred years from what was once traditional functional craftwork to a high form of creative art that competes with painting and sculpture. 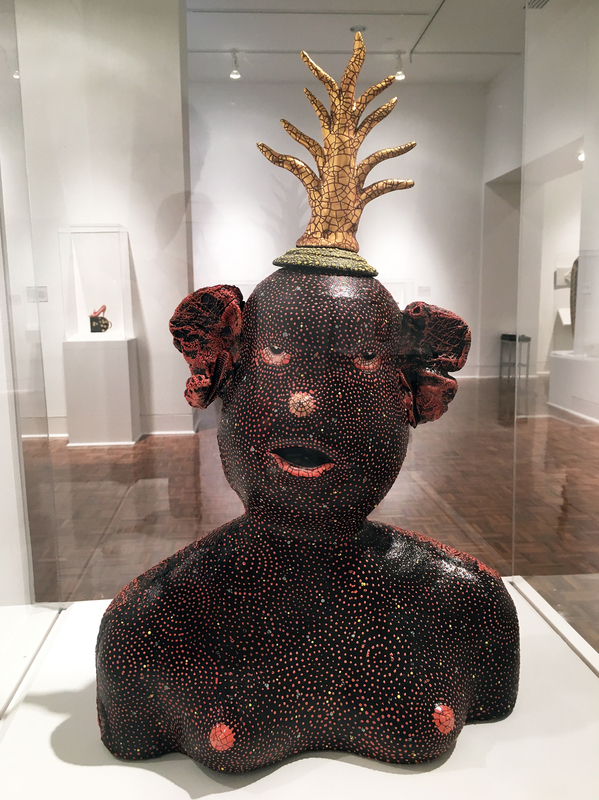 This current diversity of ceramics has evolved dramatically as illustrated by the Burger Collection, now on display at Flint Institute of the Arts. Function, Form, Fantasy is currently on exhibit in three jointing galleries. The Function section has ceramic work that is traditional as it relates to its use: bowls, vases, plates, etc., Form moves away from being utilitarian, and experiments with shape, clay properties, and glaze, where as Fantasy uses a new freedom to create a narrative that could be comic, industrial, surreal, futuristic; You name it. Horizon Traces, was created by Pippin Drysdale, a ceramicist from Australia that creates the perfect shaped vessel while revealing fine lines of multiple colors. She says in her statement she is inspired by the desert sands. 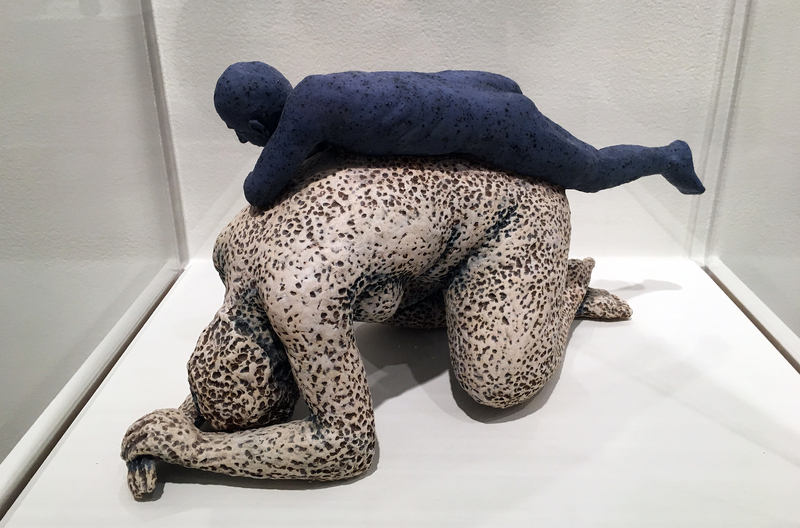 The titled Rama, refers to an Indian king of lore, where the American artist Adrian Arleo, creates two human forms contrasting in size and glaze selection. Rama, the blue-tinted man, represents the perfect form of man, full of virtue, justice, and peace. The highly created textures assist in creating dimension and contrast to the forms. This exhibition offers the audience a view of recent ceramic work, beginning in the 1060’s to present day. 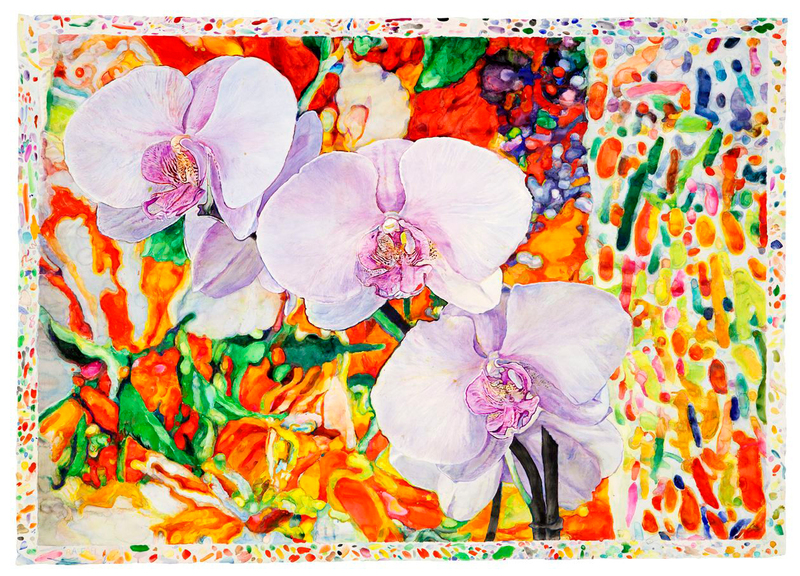 Dr. Robert Burger and his wife have been collecting works of art since the 1970’s and have donated nearly 250 works of art to the FIA. Mrs. Burger has ties to Flint, having enjoyed ceramic classes at Flint Institute of Arts in her youth. 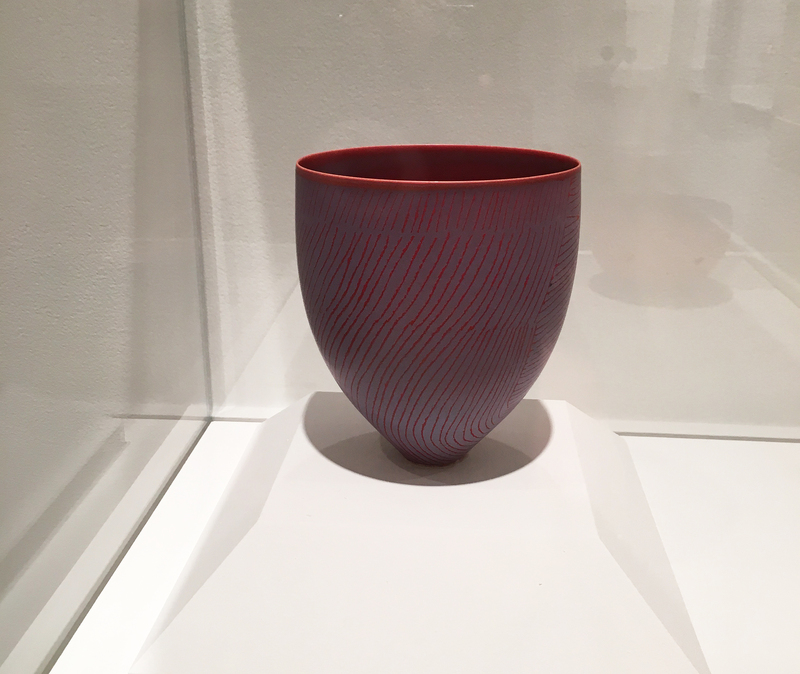 You will find large and small works, simple and complex, by well-known artists that are elegant while thought-provoking works of clay that go a long way to blur the line between craft and fine art. 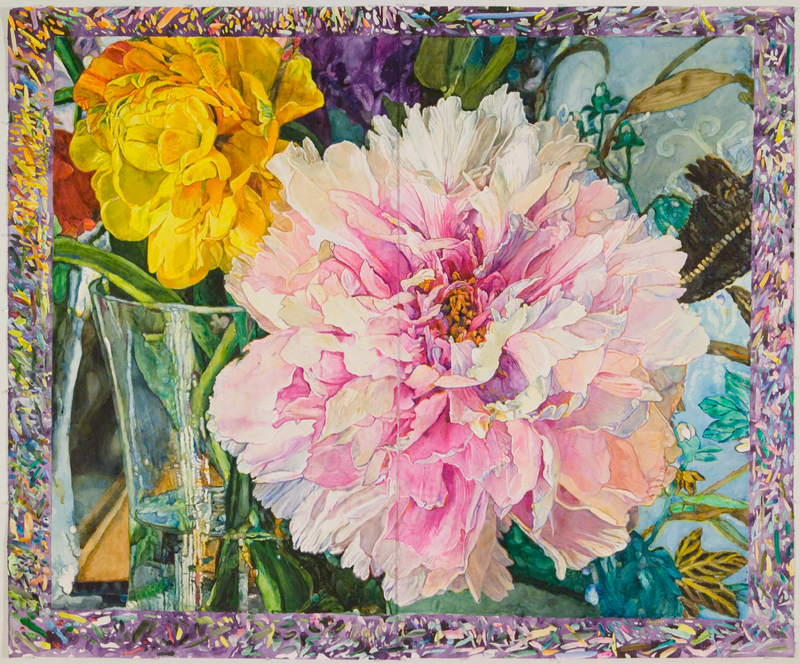 Those traveling north from Detroit this summer will find pleasure in stopping by for both exhibitions at Flint Institute of Arts, just a few blocks off I-475. The Flint Institute of Arts is located in the Cultural Center Park just two blocks off I-475 between UM-Flint and Mott Community College. Hours are Mon-Wed & Fri, 12p-5p; Thu, 12p-9p; Sat, 10a-5p and Sun, 1p-5p. 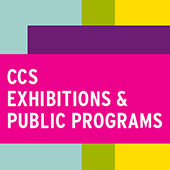 Admission to the exhibition is free to members and children under 12; Adults $7.00; Senior Citizens and Students $5.00. Saturdays are free thanks to First Merit Bank. For more information call (810) 234-1695 or visit www.flintarts.org.